Aluminum Fabrication Edmonton | Home | Truck Master Manufacturing & Equipment LTD. Learn about damage repair, painting, sandblasting & more. Learn about canopies, custom fabrication, decks & more. Familiarize yourself with images of our manufacturing work. Create a truck perfectly suited to your daily work with custom steel and aluminum fabrication in Edmonton. At Truck Master Manufacturing & Equipment LTD., we’ll listen to your needs and design a truck body to fit them. Whether you spend your days out on service calls, hauling cargo, towing cars or delivering aggregates, we can manufacture a truck body that is able to withstand the daily wear and tear. Our team will help you choose the correct body material best suited to your daily tasks, whether that’s steel or aluminum. Call us today to learn more or to get started on your custom truck body. Aluminum truck bodies come with a vast list of benefits. The main benefit is that aluminum is much lighter than other metals typically used to create truck bodies. This leads to better fuel efficiency and less wear and tear on all components of the vehicle. Just because aluminum is lighter, doesn’t mean you have to sacrifice strength either. Since most aluminum truck beds are made with aluminum alloys instead of pure aluminum, they are just as strong as other metal materials. Aluminum also requires less annual maintenance because it is less subject to corrosion. Many other metals rust quickly, especially in salty environments, but aluminum is better able to withstand these conditions. However, even aluminum requires a thorough cleaning every once in a while to keep it in good shape. The production of aluminum also creates fewer greenhouse gases than other metal production, making aluminum the “greener” choice. 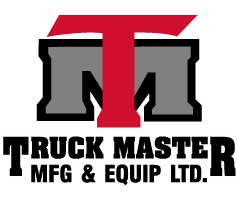 At Truck Master Manufacturing LTD., we want to ensure our production is done appropriately, following all necessary industry standards. 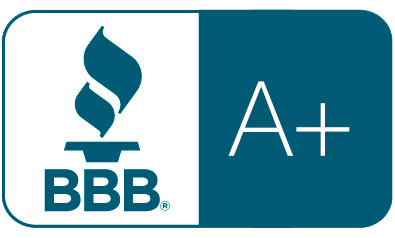 We work hard to stay up to date on the latest standards and safety requirements, so that our team stays safe during manufacturing and our customers receive reliable, high-quality products. When you purchase a custom truck body from us, you can rest easy knowing it will withstand the toughest day’s work and keep performing for you. Truck Master Manufacturing LTD. is able to create more than just truck bodies. We offer a full line of products for your trucks and other vehicles. If you would like to learn more about our custom steel or aluminum manufacturing in Edmonton, please give us a call today. Our team can answer any questions you might have and tell you more about the products we offer.